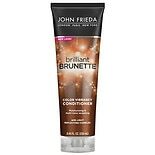 Shop John Frieda Brilliant Brunette Multi Tone Revealing Moisturizing Conditioner (8.45 oz. )8.45 oz. $949$9 and 49 cents$1.12 / oz. 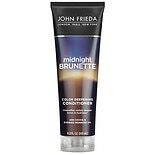 Shop John Frieda Brilliant Brunette Visibly Deeper Colour Deepening Conditioner (8.3 oz. 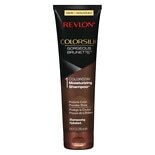 )8.3 oz. 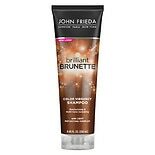 Shop John Frieda Brilliant Brunette Visibly Deeper Colour Deepening Shampoo (8.3 oz. )8.3 oz. $1249$12 and 49 cents$10.86 / oz. 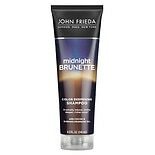 Shop John Frieda Brilliant Brunette Multi Tone Revealing Moisturizing Shampoo (8.45 oz. )8.45 oz.